Doctors often advise their patients to adopt good eating habits and exercise more. However, these lifestyle changes should be more than just brief advice. They should be part of a patient’s prescription. That is essentially the viewpoint of a lifestyle medicine specialist. This new medical subspecialty, which has been evolving for centuries, is much needed in today’s world of ever-increasing chronic diseases. Lifestyle medicine promotes healthy lifestyle choices, allowing the body to protect and heal itself, which in turn prevents, treats and often reverses the underlying lifestyle-related causes of disease. It is centered on six areas to improve health: healthful eating, physical activity, avoiding risky substance abuse, stress and sleep management and the importance of healthy relationships. Research has proven that with changes in these lifestyle habits, we can prevent, treat or even reverse adverse health conditions like diabetes, hypertension, coronary heart disease, high cholesterol and anxiety. You have the power to prevent or even reverse chronic disease with little or no medication. Instead of relying solely on medications to address these conditions or concerns, a lifestyle medicine doctor can assist the patient with a lifestyle management plan that can be beneficial to their long-term health. Lifestyle medicine is evidence-based and, when applied, plays an integral part in treating, preventing and sometimes even reversing common conditions like diabetes, hyperlipidemia and hypertension. Currently, 80 percent or more of all healthcare spending in the U.S. is tied to the treatment of chronic diseases and conditions that are rooted in unhealthy lifestyle choices. Successful behavioral changes through lifestyle medicine can help save a patient’s life. However, the patient should be open with their doctor about current lifestyle habits so they can work together to find a treatment method specific to the patient’s needs and medical history. It all starts with motivation. If the patient is motivated and willing to adjust their lifestyle to improve their overall health and avoid future complications, it can be life-changing. I’ve been able to take patients off of medications and reduce their risk factors for certain diseases after they have implemented the lifestyle plan changes that we constructed together as part of a patient and doctor team. Patients visiting a lifestyle medicine specialist for the first time should expect to receive a thorough assessment of their current health habits and be willing to honestly disclose information about their current lifestyle choices. Combining this information with your medical history, the specialist will be able to prescribe lifestyle changes as part of an individualized treatment plan that is achievable and impactful. A lifestyle medicine specialist can also provide patients with other resources to assist them with their behavioral transitions. This includes one-on-one counseling and group visits as well as community support groups. 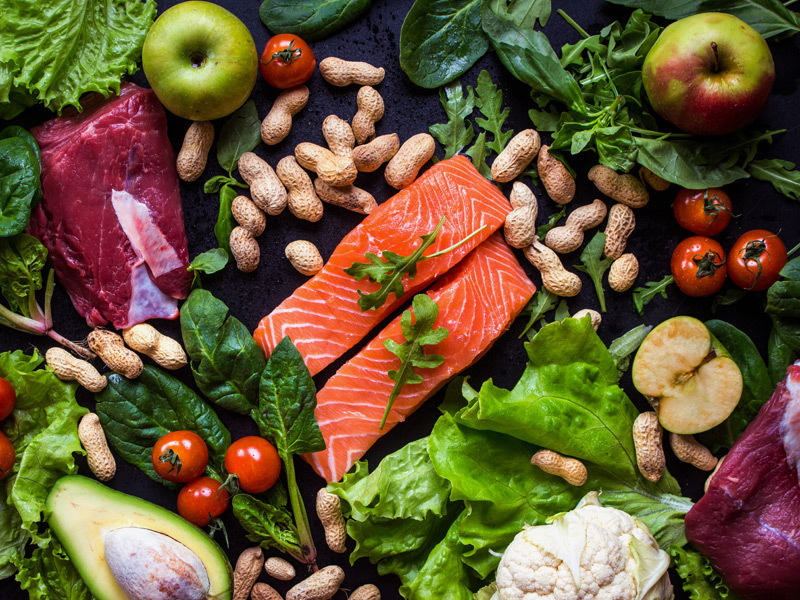 If you’re willing to make lifestyle adjustments to support your health, a lifestyle medicine specialist can help you create a plan that best suits your individual needs. It’s never too late to start, and all you need is a willingness to try. 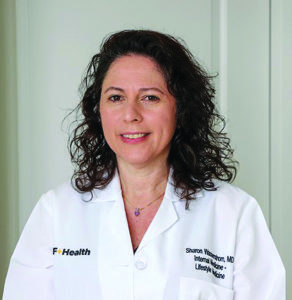 Dr. Sharon Wasserstrom is board certified in lifestyle and internal medicine, and treats patients at UCF Health’s Lake Nona office. She is committed to improving her patients’ health and reducing their reliance on medications through evidence-based lifestyle changes. Learn more at ucfhealth.com.